New Expedition Truck Project... 6x6 vs 8x8!!! 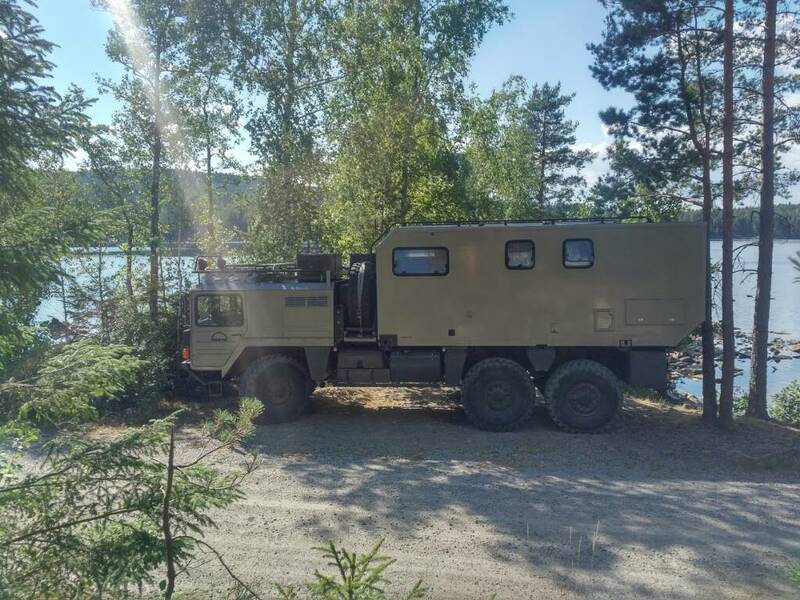 Re: New Expedition Truck Project... 6x6 vs 8x8!!! in case you want to work predominantely (5 days a week) from your mobile home from each country, the visa you need won't be traveller visa's but you will need mostly likely work visa's - per country. Working digital and remotely doesn't change the structure of national visa systems. Have you looked into the feasabilty and effort of this aspect? Great to met the owner of the truck! Sorry, but I am not the owner. I just met the owner and had a look at the vehicle. Well, in fact mi wife and I are looking to have the smart due to our personal needs, but we and even the builder has the questions about how to fit exactly the smart...! Did you considered just the use of a ramp and a winch? Thank you for share your experience, please let us know if from your experience should be considered! As I wrote, the Smart is sitting on a movable platform which is pushed into the garage. The movable platform itself ist moved up and down by a regular hydraulic platform. Yes, you may have a bit more trouble with car and also other motor vehicles inside the truck, because customs and border police want to register the additional vehicle. Ok, understood, anyway thanks for sharing it. Yes I saw that the car fit the elevator with the wheels exactly aligned, that makes sense then. For sure we understand that any extra vehicle also needs to be registered as well as the main truck, just I thought that were you, who said that in Canada the official customs telling that the smart needed to be in a separate box, or trailer if I correctly understood. It is contained in the signature. You probably use a tool like Tapatalk to read the forum, instead of using a regular browser. Or you use the mobile view of the forum. This suppresses part of the info, i.e. the signature. in some Countries it is not allowed to use them inside regular traffic... example: Thai, USA etc. Ok yes is what we suspected, for that reason added to our personal needs we thought that the smart would fit better our requirements. So the registration each vehicle per person was just in Ecuador or in most countries? So based in tour experience which would be the maximum exterior dimensions for the truck, long, wide and high? The very maximum that you think would be the best choice to build a new truck as bigger as possible, and consider a trailer too. You said in a previous post... no trailer... would you confirm it thinking that it is a real need? I am using the app, so I didn’t know how to “quote” your las post. Just to let you know. Yes, the only Country so far, where it was not possible to register both vehicles in my Name was Ecuador. We are talking about the Temporary Import Permit. If you are travelling with your wife, no Problem one on you and one in the Name of your wife. Who is written in the Car Papers, is not interresting. 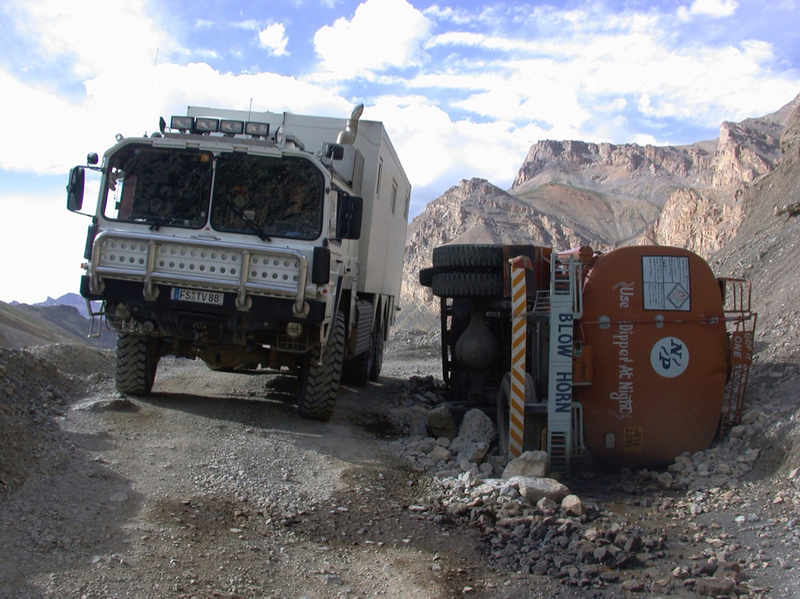 If you prefer having trouble in remote areas, choose a trailer. I know people who had a Landrover with a Trailer... They sold it on there way, and that was a 6 Person Family... they really needed the space for Camping... Take it with you and I prommise after a short time you will get rid of it. Length: 10mtrs max - better 8,5. 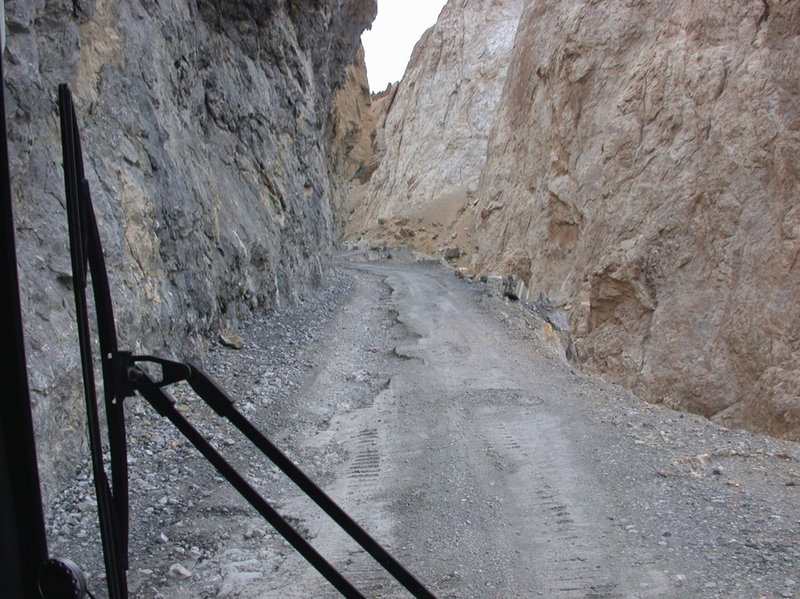 There are gravel road hairpins in the Himalaya where i needed to go 30% of the front tire over the Edge to come around, a huge Rock blocked the rest of the road Manali to Leh. It is the one and only Road - Diversion aprox. 900km and one week. Same in the Andes... 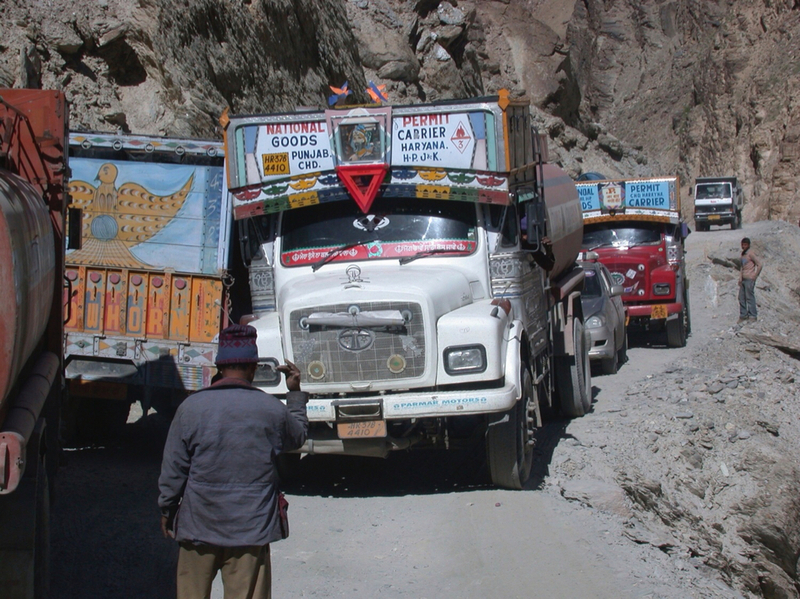 There lokal Trucks for Transport are mostly 7.5to..8mtr of lenght and rounded 3.70 high. In short: the smaller your Truck is, the less headace it will give you when driving. 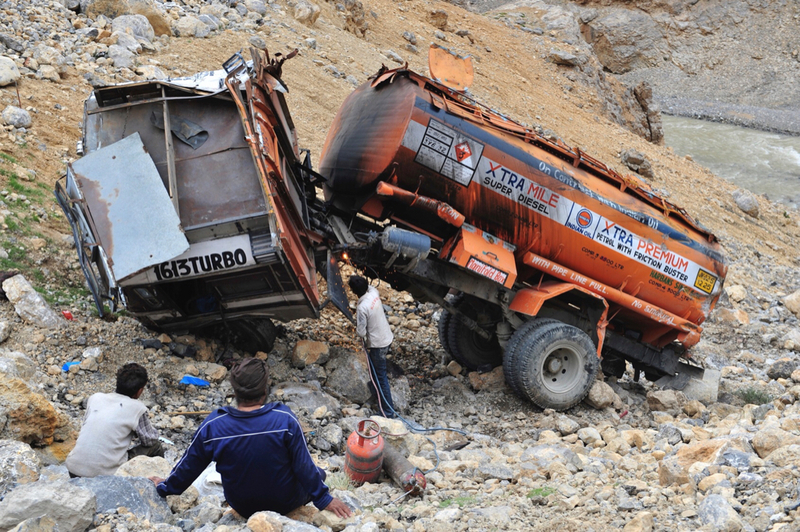 do I understand correctly - the situation on the manali road was so tight because the rock blocked the road after a rockslide? Or is it the permanent construction of the road at that point? I checked my overall length incl. the FM2 Cabin. It is 10.88cm. (and could be reduced to about 10.70) by leaving enough space for the crane to still load the motorbike. That would mean the door of the cabin would not open so wide anymore. Just making sure for the 11.00m "deadline" from MAN. 3,70m is not possible with "standard" equipment - if no custom box is used. But I know height is cruscial. 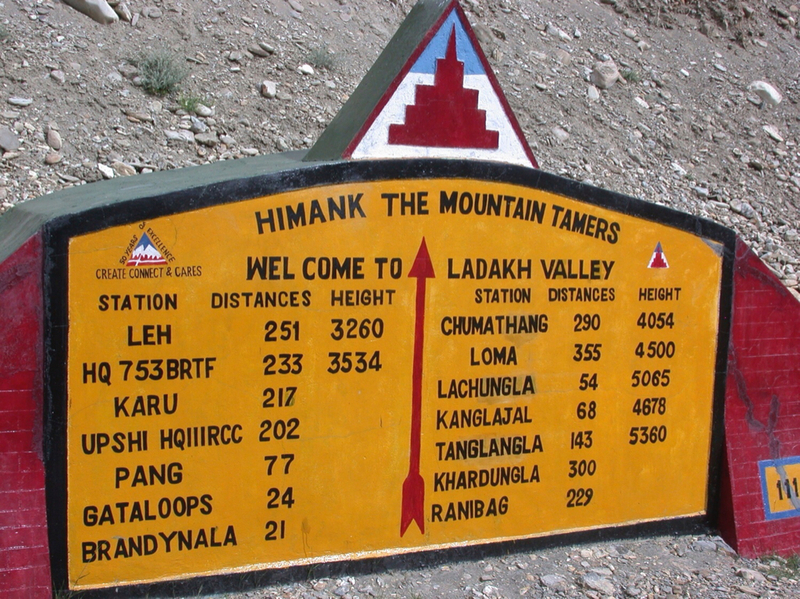 From all my own travelling - when everybody was speaking about weight and length... what stopped me in the end - was always the height. 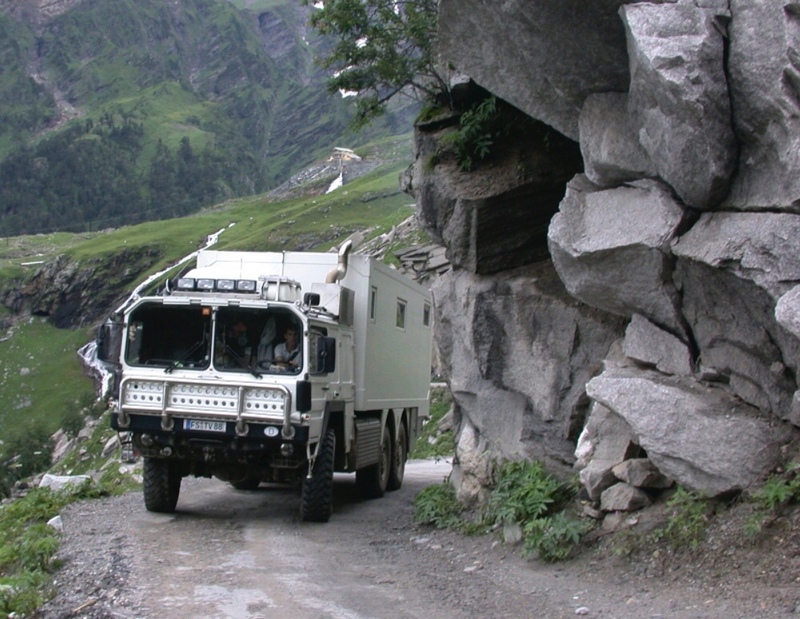 I am seeing that the height is crucial, my wife and I are consider seriously this factor... because even when we aren’t consider right now drive in Asia in the hardest roads like the Himalayas, we want to consider it in the eventuality that our mind change in the future as well as in the future we would like to sell the truck! In any case we will be driving in all the American continent and in the Andes i saw that these size factors are as well as important! The hardest part to us to short would be the length wished by us... 12m. Stefan - you break my heart. This is exactly where I wanna go so desperately! 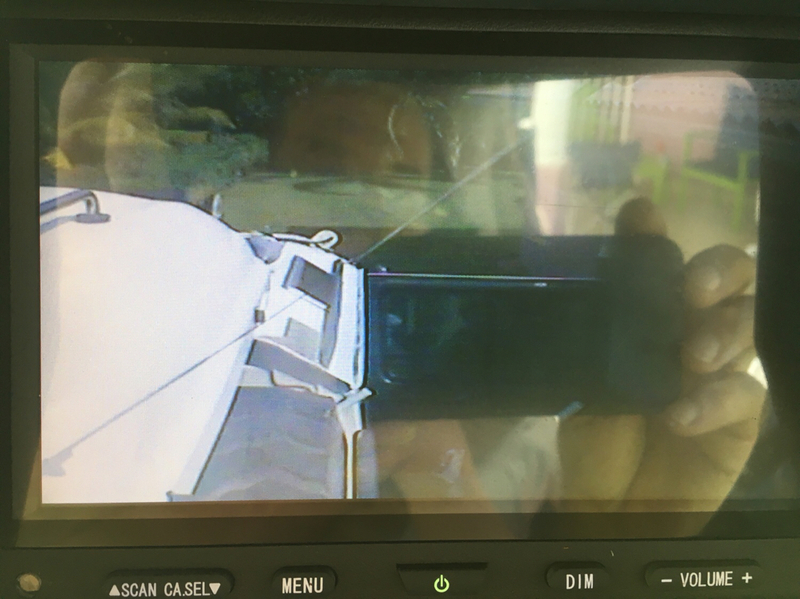 Do you have roof cameras for tunnels oder rock overhangs? I dont see any. Is your exhaust higher than the cabin? (3,70) Or only photo perspective? 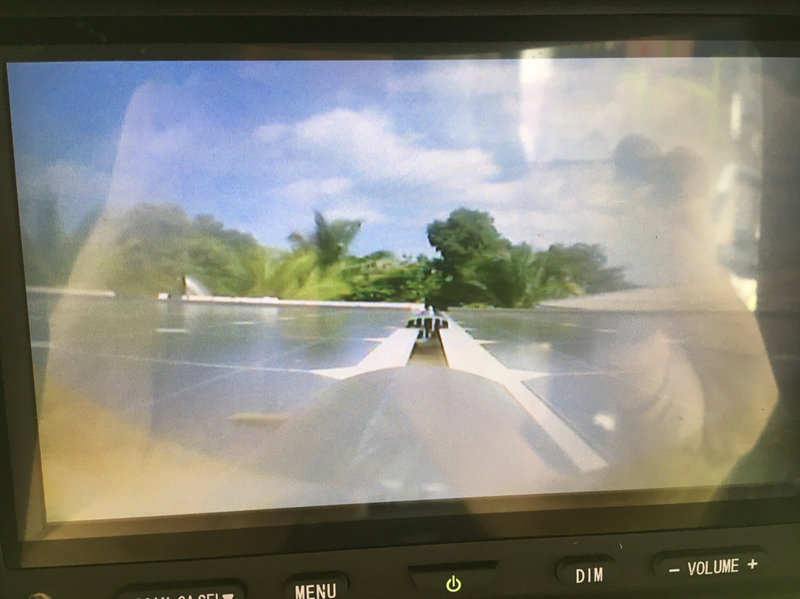 Yes we have a camera where I see the solarpanels and the front corner of the box. 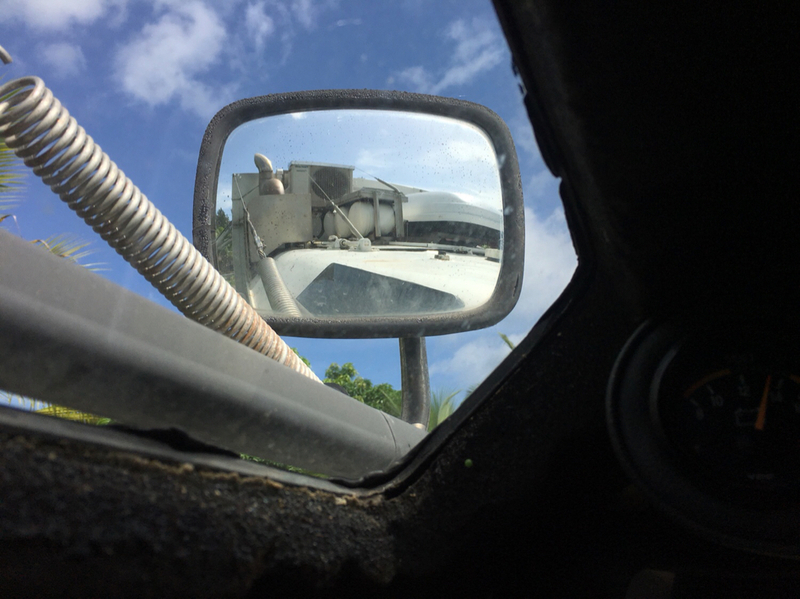 But I use more the mirrors who are on top of driving house. Where the ventilation holes ( above the seats ) are I cut out 40 / 15cm and put in Glas.. on top of that window is a mirror were you see the the whole front of the box. Great pictures Stefan, it is highly illustrative! I took a look at your website and you have very interesting information, I will continue to look. I attach a video where also you can see roads like that, maybe you drove on it since it is in the Peruvian/ Bolivian roads. I just think where he can drive with this truck since it is very long... would be great if he could post directly here!!! 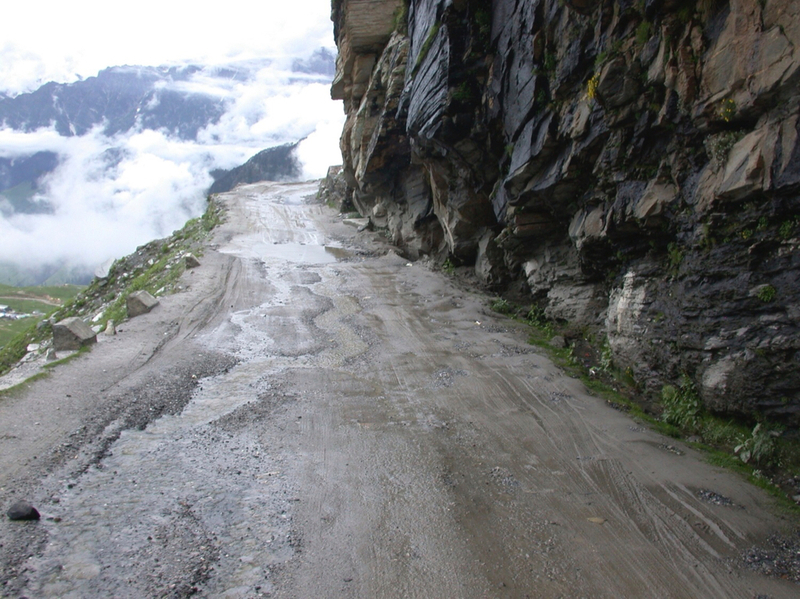 Yes we know the „road of death“ in Bolivia... I drove it. Right beside is a paved road who could be used by trucks and cars.. From my perspective, it is senseless to take the truck up or down there. Driving Landslides of a view hundert mtrs, where the detour is 500 km, makes sense. And the adventure feeling is the same. That’s the Left side traffic Camera... great in Asia -India etc. Wie sage ich immer so Garne? Sometimes I said, how many cameras all around the trucks but they are very useful! Thank you for the comment but can you please explain more about?... I do not understand why not or why the 6x6 can park there! Still now I have not took the decision about the 6x6 or 8x8. Still now based on the builder advice and a couple more of experts the 6x6 is wining due to the space to install more diesel tanks or Any other basic need as well as is easier mechanically... also because the heavy weight in the front part due to the second axle (if 8x8). My wife and I will be having a meeting with him again to talk about that and the inconveniences of the 8x8 vs the 6x6.